Well, now that the whole nation is really prepared to take a step against the continuous terrorist attacks of Pakistan, the recent Rafale deal between India and France, is going to make India a stronger nation. This is our nation’s one of the largest weapon’s deal till date. But one thing that remains a cause of concern is the delivery of these Rafale jets will take a long time. It is not confirmed yet that the nations India and Pakistan are going to war. But this deal definitely makes India a really strong nation considering the weapons and fighter jets. What led India to opt for such a deal? To be honest, the major fighter jets and weapons of India have not been used for the last 15-20 years since the dispute with China. And this has led to the depletion of those jets. India had 44 squadrons of modern and versatile fighter jets. Out of which 34 is currently in a condition to be used and the remaining 10 are of no use. Especially the older ones like MiG21s and the MIG27s. In the year 2007, there were bids among three different options for India, the Swedish Grippen, American F16 and F18, the Russian MiG35, the Eurofighter Typhoon and the French Rafale. 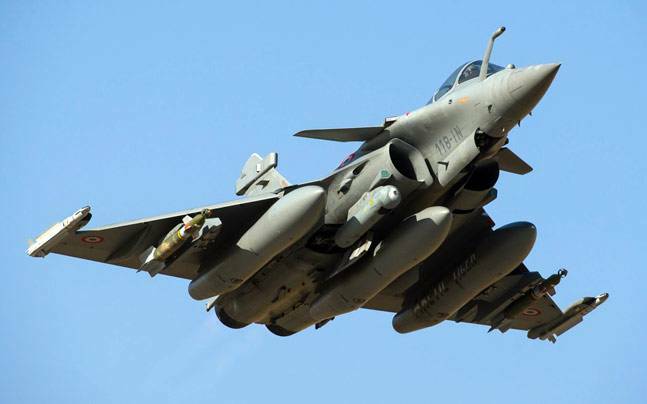 The bids were opened on 2012 and India opted for the French Rafale fighter jets over the Eurofighters. The negotiations were made for 126 fighter jets, out of which 18 will be made in France and the rest in India. But during the PM’s visit to France, it was stated that India will be directly purchasing more Rafale fighter jets and it was stated that this time the terms will be cheaper. Separate teams were made and negotiations started once again. There were deadlines that got missed three times previously. So why did IAF want the Rafale over other jets? Well, the reason is pretty clear. Rafale is a multipurpose medium fighter jet that will help India in booting the power of its air force, where it is specifically weak. India has light fighter jets like MiG21 and now the Tejas. There are different heavy fighter jets like Sukhoi30MKI, but these are absolutely no match for the Rafale. This was used by the French Air Force Navy and it can used for multiple defense purposes like Air defense, nuclear deterrence, anti-ship, and air to ground protection. This has the capability to be used for all the 7 types of combat forces. The Rafale has electronically active scanned array radar, the front sector optronics, and SPECTRA suite. This means, it can track multiple targets and even shoot long ranges when the jammers are also active. The Rafale fighter jets have the capability to share data and also execute day-night operations with precision and stealth. No other jets can be refueled in mid-air, but the Rafale Jets can be done. If two Rafale jets share fuel in mid air, then both of the jets can carry out operations for a certain period of time. There are 14 hard points for the Rafale jets in total, which means, it has the capability to carry huge weapons and more than 9 tonnes of external load.